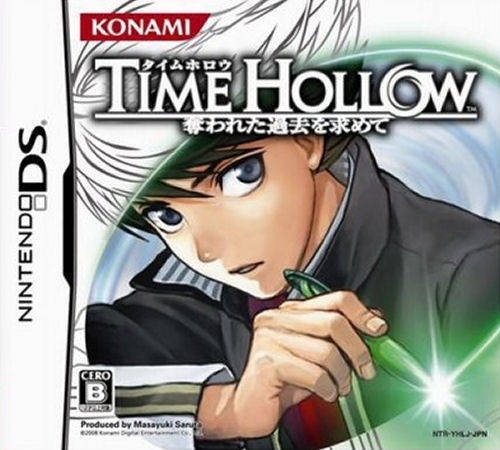 With the DS outputting a fair share of graphic adventure titles, can the Konami published Time Hollow accomplish enough to distance itself from the pack? Imagine if you will, that tomorrow when you wake up, you possess the ability to alter your past. You accidentally overcook breakfast? Not anymore, simply open a small portal to the past and take the pan off of the burner so that breakfast was never burnt to begin with. Later at work you then accidentally spill your ridiculously hot coffee all over your keyboard. No problem though, as you can open a portal to the past and move that coffee to a shelf that is nowhere near arm’s reach. But let’s say you really go off the deep end this time and happen to carelessly sideswipe a pedestrian during your speedy drive home from work. Once again, didn’t happen, you quickly open a portal and move the once blindsided pedestrian out of harm’s way. Anything and everything can be altered to correct mistakes in your day, time is in your hands-literally, as all of these portals are conveniently opened with a small magical pen. The one “small” catch? Every time the pen’s used, your body’s aging process progresses a tad bit quicker than usual and your body’s overall health slightly decreases. Is possessing this time travel ability really all it’s hyped up to be after all? 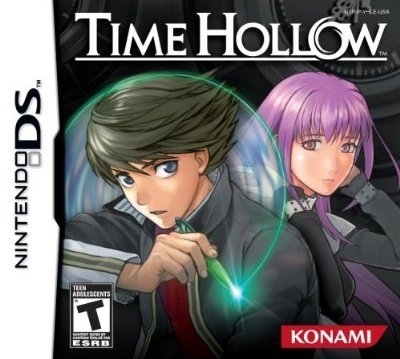 This is but one of the thrilling themes that is presented in this Tenky developed, Konami published graphic adventure offering that may have just enough charm to be considered a worthy enough title for fans of the genre, and even more so for fans of the time travel phenomenon. Let’s face it, if you are considering checking out Time Hollow, then you more than likely are expecting the game to deliver on its narrative, which you have every right to be considering the style of game. Fortunately enough, yet again, the Nintendo DS has another game to add to its already massive library of titles with mind gripping stories that will absolutely keep your hands peeled to your DS from beginning to end, no doubt outdoing other efforts on the handheld in this regard. But simultaneously, Hollow regrettably seems to outdo itself at certain instances in terms of story progression as well (learn why in a minute.) 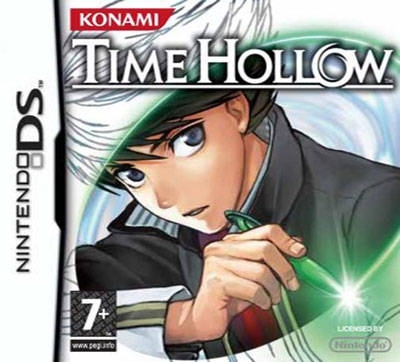 Penned by Junko Kawano, (whose track record with Konami includes the famed Suikoden franchise) the story places players into the shoes of high school student Ethan Kairos, who, on his seventeenth birthday, wakes up to find out that he now has the ability to wield a recently discovered “hollow” pen, which of course is the object behind his newly founded time altering power. But things abruptly take a turn for the worse though, as it just so happens that his parents have been apparently missing now for the last twelve years and Ethan currently lives with his Uncle, both of which were untrue just one day previously, and apparently Ethan’s the only one who realizes this. It’s now up to Ethan to solve a variety of mysteries that range from the pen’s origins to who or what has caused this disruption in time. By finding these answers, Ethan will hopefully be able to use the hollow pen to correct time and bring life back to normal. As expected, in order to complete any of the games six chapters, you must make your way though a plethora of conversations. 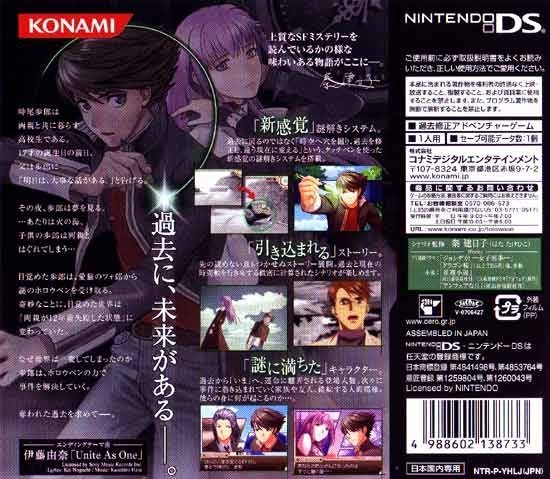 Through all of this dialogue, players will be introduced to the game’s rather large supporting cast of characters, who all in one way or another affect the plot in some way. What’s great about what’s offered during NPC interaction is to see just how Ethan’s life has changed since the time change. A friend of Ethan who just yesterday may have been a complete book-warm may now be a high school dropout who currently passes time by practicing professional dog walking. Or perhaps a classmate you have just met has apparently always been in your class. You never know where and how time will bend to next, possibilities are seemingly limitless. Almost all discussion is non-interactive, although a few points in the game allow you to pick your own responses a la Hotel Dusk style. And while these instances are more than welcome for these sorts of titles, Hollow just doesn’t make it enough of a challenge to do these situations properly. Whether it’s the fact that Ethan will occasionally flat out tell you you’re wrong when you try and pick a certain response, or the fact that in a majority of cases when questioning someone all you have to do is pick the first, second, then third response offered in that order every time to complete questioning, it just appears that these instances were almost a complete afterthought while developing the game and it seems like they could have been abandoned altogether with no drop in quality at all. It’s one thing to help guide novice players through the story on their first play through, but it’s another to hold players hands to the point where there’s no deductive reasoning used whatsoever, with the latter being the standard in Hollow. 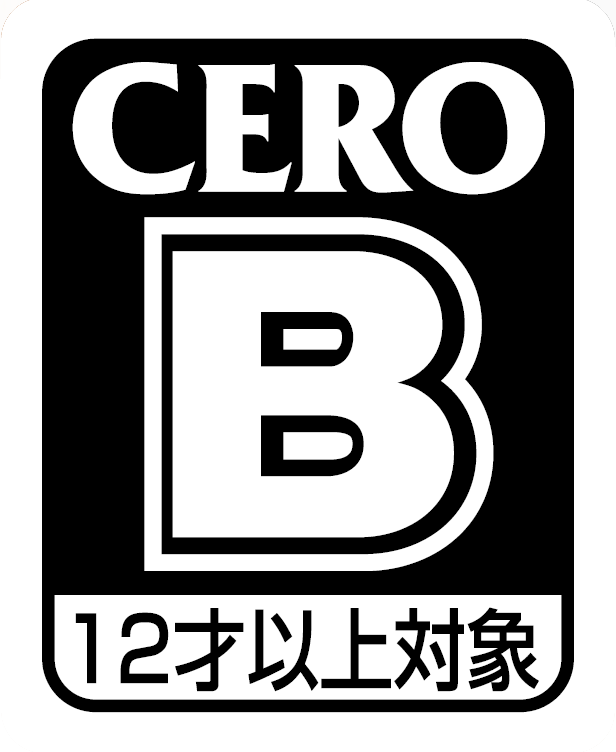 And although the title boasts a variety of plot twists, sometimes the game becomes a bit more complicated than what’s needed, creating unrealistic moments where some may be left confused as to how a high school student can follow all of the information stated so easily when they themselves can’t. But even with these mishaps, it’s awfully important to note that you’ll still be as compelled as ever to complete the game. You want to know how Ethan can possibly escape this fiasco, and the game does a fantastic job bending your emotions in such ways to feel connected not only to Ethan himself, but the supporting cast as well. 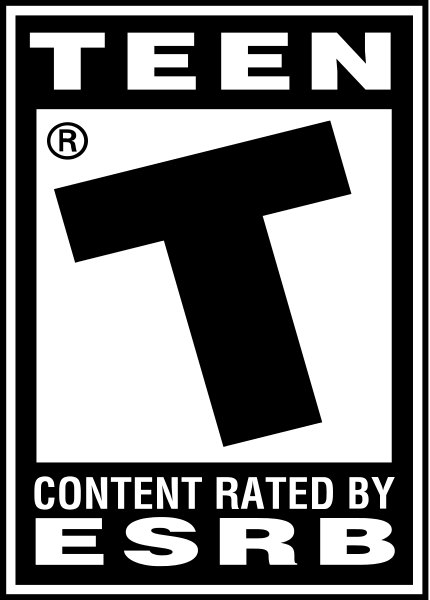 What the game lacks in solid interactive text, developer Tenky more than makes up for by going the distance to bring gamers a much more unique and more commendable experience than what is usually offered on DS. By unique, we are talking some short but beautifully vivid anime-style cutscenes that are sprinkled throughout the title. Now don’t get me wrong, the game isn’t “loaded” with these cutscenes per se, they are most often left for some of the most action packed sequences the narrative offers. But when you come to the realization that these short clips are filled with surprisingly exceptional voice overs and that Tenky and Konami could have just left them out and have been already content with what the title accomplished, you really begin to appreciate the effort that went into these scenes. They’re sure a lot of fun to watch and a joy to have between spurts of gameplay and dialogue. These cutscenes, like the rest of Hollow’s conversational periods, unfold on the top screen. Environments stretch across both the touch and top screen, with the touch displaying either clickable items or people, and the top a location’s ceiling (which is most often filled with the conversational periods as previously stated.) 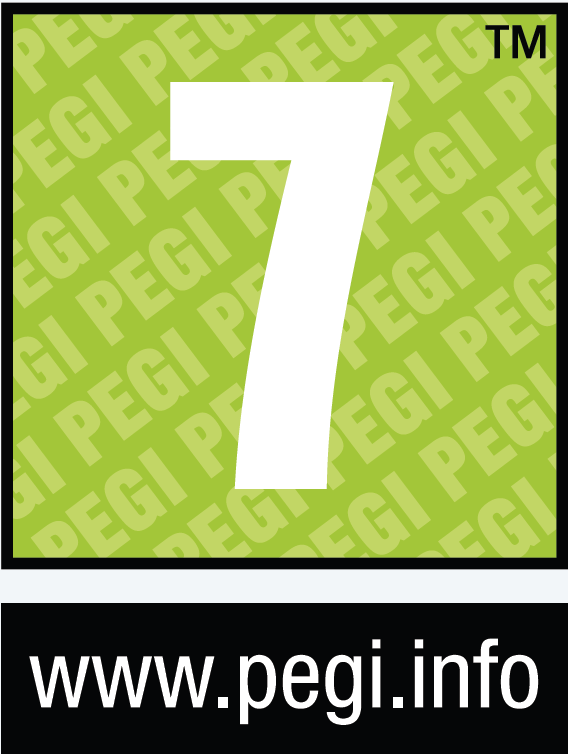 An added perception of depth is added to objects on the lower screen also, as the touch screen can be panned either left or right with the Control Pad or stylus to reveal items that were either previously hidden behind objects or completely off screen altogether, another original and welcomed addition to the game. The only minor problem as far as presentation is concerned is an enjoyable but quickly redundant soundtrack that suffers from repeating what little tracks the title has in the first place. If you have been paying close attention, you’ll have noticed the one aspect that I have so far left out of the review is what Hollow offers when you aren’t plowing your way through waves of text, and even though what the title presents in terms of puzzles sound rewarding and unique, these too, suffer from a lack of any hint of challenge at all. All puzzles will also fall back on the overarching time-alter scenario that the narrative relies so heavily on, and they all focus around the hollow pen. The pen is what allows Ethan to open these portals in time to either move, place, or examine objects and occasionally placing or pulling people to and from the portal in the hopeful event of setting time straight. Using the DS stylus as a makeshift hollow pen, players will ultimately create these portals into the past on the touch screen to solve these tasks, which works well. Not all locations found in-game are subject to hollow pen use though, as only areas Ethan sees in flashback form throughout the game are time alterable. Every time the pen is used and the past is changed for better or worse, more flashbacks of locations that have been altered in changing time are revealed to Ethan, which too makes sense and is a solid formula. With the concept as promising as it may sound, all tasks these portals present are just way to obvious in determining what needs to be done and after you get a few under your belt, you will have no trouble predicting what to expect for the rest of the game. Adding insult to injury is the fact that the game won’t let you place or pull something from a portal incorrectly- Ethan will tell you what you are doing can’t possibly be right if you try to do so until you eventually do pick the correct task to do in the situation. You can, however, create a portal in the wrong spot at a location, resulting in a loss of Ethan’s energy. This can lead to game overs if all energy is lost, but the possibility of that actually occurring is pretty much at zero because making enough mistakes to get to the point of draining Ethan’s large energy bar is high near impossible. The only logical place I see players getting lost or stuck at in the title is when it becomes fuzzy as to where Ethan needs to be guided on the map screen when investigating what “trigger” they need to accomplish in order to progress the game- a common hole many offerings such as this fall into. There is at least a bright side to this aspect of the game though, as Ethan will shout short phrases via voice overs when creating portals, providing a little extra polish to a game on a system where additions such as these are rarely included. Time Hollow is really an interesting title. It’s not too often that a game can fail on many key issues and still be considered worthy of a purchase, but I feel that Time Hollow is an exception. Through its many strengths in both the narrative and presentation departments, Hollow excels past boundaries that are not often met on the DS and because of this, there’s no question that it’s a game that should get more recognition than what it currently receives. The game will clock in at around nine hours, leaving you feeling satisfied with the length. It goes without saying that you should steer clear if you’re looking for a hefty challenge; while, simultaneously Hollow is a title that should not be ignored for time travel and perhaps even sci-fi fans in general. If anything, I think it’d definitely be interesting to see this be the basis for future time themed graphic adventure titles yet to come in either sequel form or in a completely new franchise. Like in an instance of being able to control time at your own will, the possibilities for this type of game are seemingly endless.